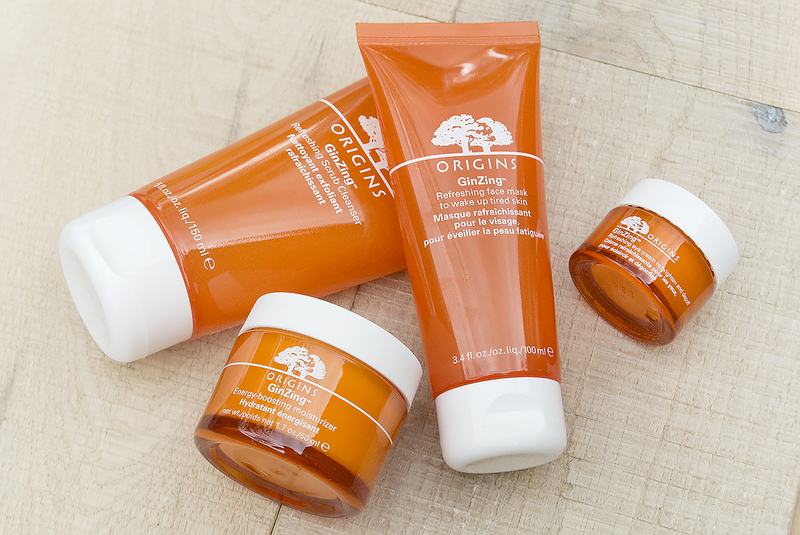 I reviewed the GinZing Energy-Boosting Moisturiser back in May last year (£23 here from Boots) and since then, Origins have been busy, busy bees, adding three more products to their best-selling collection including: the NEW Refreshing Face Mask; Refreshing Face Scrub Cleanser and the Refreshing Eye Cream. The whole range relies on the power of Ginseng and Coffee Bean extract and is targeted mainly at late teens to late twenties skin that’s usually abundant with oil, but dull due to wear and tear (also great for those who are blemish prone). 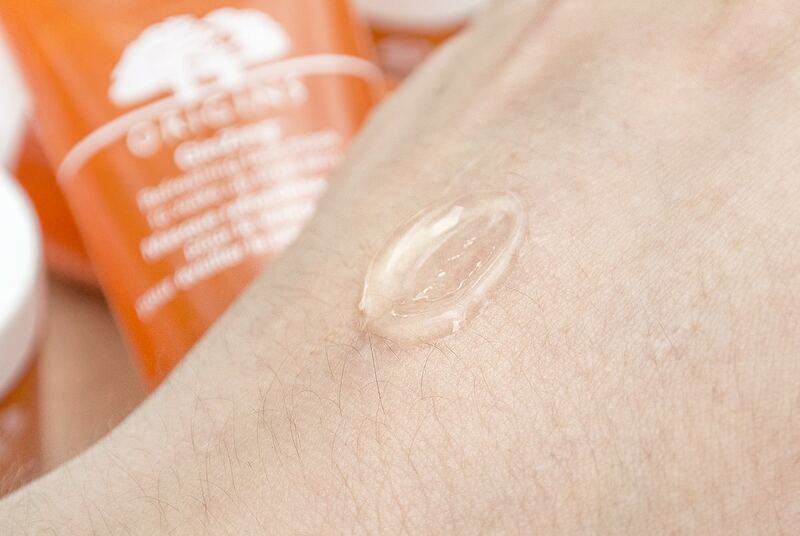 Labelled as being to wake up tired skin; this lightweight gel formulation sinks into the skin, does its job and can be rinsed away after just 10 minutes. It’s loaded again with ginseng and coffee bean extract as well as cucumber and hoelen mushroom. You’ll also find rose water, chamomile, rosemary, damascus rose extract, galbanum, orange and lemon oils. The blend of citric acids, brightening waters (rose is incredible when it comes to brightening) it gentle removes surface dead skin cells (not deeply) and restores illumination, freshness and brightness. I’ve been using this then using a facial scrub afterwards and the effects are fantastic. Also, a tiny amount goes a very long way; just make sure to avoid the eye area. 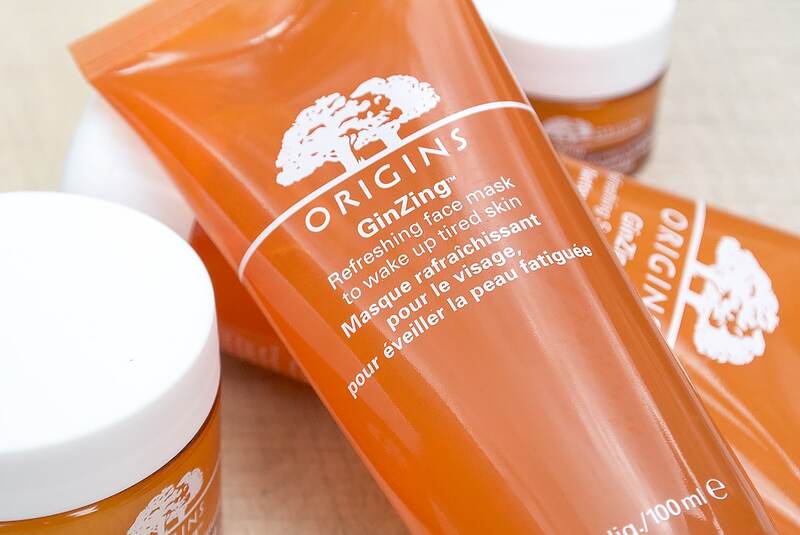 The Origins GinZing Refreshing Face Mask is available for £23 here from John Lewis. I’m not going to go into too much detail with this as it’s been absolutely reviewed to death; but for very good reason. Everyone is raving about this because it’s just a superb cleanser (although not the best exfoliator, but that’s always a personal preference based on strength). If you want to boost your GinZing through exfoliation, use something like the Microdermabrasive Exfoliator from The Body Shop (£14), also featuring Vitamin C as well as protective Shea Butter. With the same feature ingredients as well as lemon, grapefruit and spearmint; this beautifully smelling face wash leaves skin very clean but not dried or tight; it’s surprising how gentle it is considering the amount of surfactants it contains. The Origins GinZing Refreshing Scrub Cleanser is available for £18.50 here from John Lewis. I’ll get this out the way now, it’s not that it’s harsh by any means, but because of the potency of active ingredients to brighten, smooth and soften the eye area; this is not one for those who are sensitive of skin. It is fragrance free however. With ginseng, caffeine and magnolia extract it calms the skin; increases microcirculation and the gentle tint leaves your eyes looking as bright as anything (fear not, it doesn’t look like makeup by any means). Use morning and night by tapping it on with your ring finger and leave it so soak in. For dark circles and rejuvenation, this is an excellent place to start. 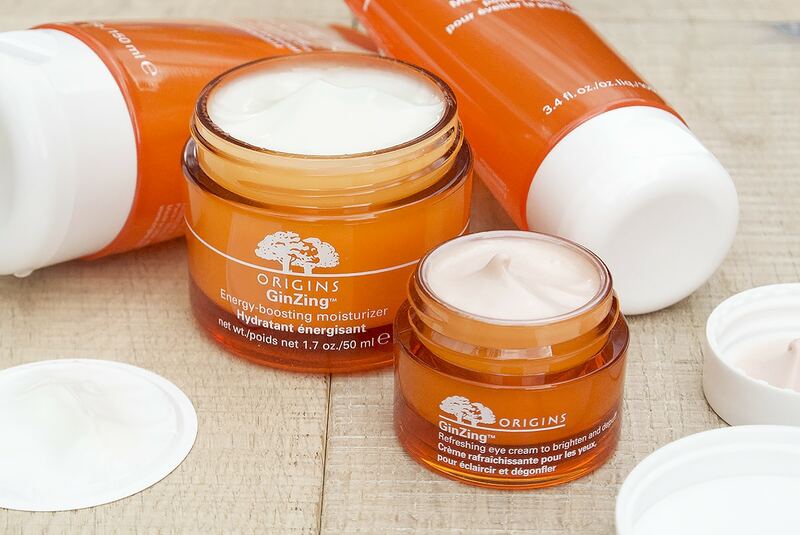 The Origins GinZing Refreshing Eye Cream is available for £23 here from John Lewis. This article first appeared on MANFACE written by Thom Watson. It was published on Friday 11th July 2014 and was last updated on Monday 3rd April 2017 at 2:02pm. It's categorised under Acne, spots & blemishes, Cleanse, Combination Skin, Exfoliate, Eye Care, Mask, Moisturise, Oily Skin, Origins where you'll find more related content. I liked the eye cream when it came out and now I feel like I should try the cleanser again. I wasn’t super impressed with it like everyone else. The mask, sounds like something I obviously need. Thanks! They haven’t really added three more products – the eye cream has been out for aaaaages! !